Android Nougat 7.1 ROM, Huawei P8 Lite Lineage OS 14.1 has now arrived via an UNOFFICIAL build. If you want some more Lineage ROMs or wanna taste the OFFICIAL Lineage OS build then stay tuned the Lineage OS 14.1 ROM collection page. This Lineage OS 14.1 for Huawei P8 Lite (alice) is brought to you by developer surdu_petru. If you like this ROM then please consider a donation to surdu_petru. THIS IS AN INITIAL BUILD WHICH MAY NOT BOOT AT ALL. HAVE A BACKUP BEFORE FLASHING THIS AND TRY AT YOUR OWN RISK. Installing a custom ROM on a Huawei P8 Lite (alice) requires the bootloader to be unlocked on the Huawei P8 Lite (alice) phone, which may VOID your warranty and may delete all your data. Before proceeding further you may consider backup all data on the phone. You are the only person doing changes to your phone and I cannot be held responsible for the mistakes done by you. – Here is theTWRP update guide for the Huawei P8 Lite (alice). This TWRP recovery guide requires an unlocked bootloader on the Huawei P8 Lite (alice). Download and Copy the GApps and Huawei P8 Lite Lineage OS 14.1 ROM ZIP to your phone. First flash the Huawei P8 Lite Lineage OS 14.1 ROM ZIP from device. Then flash the GApps zip from your device memory. Reboot and Enjoy the Nougat 7.1 Lineage OS 14.1 ROM for Huawei P8 Lite (alice). 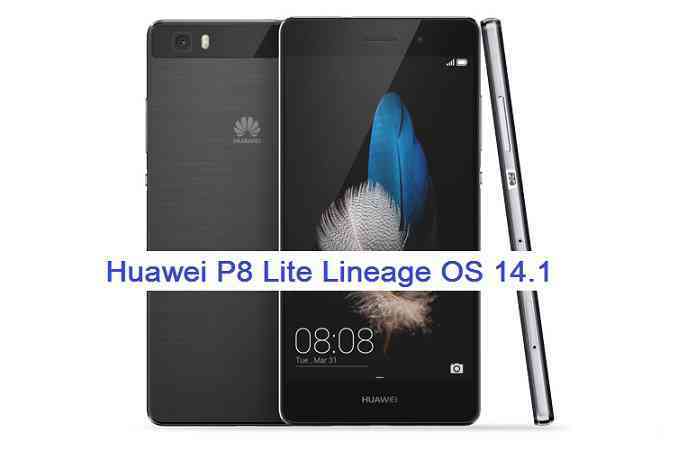 Copy the latest Huawei P8 Lite Lineage OS 14.1 ROM ZIP file to your phone. Stay tuned or Subscribe to the Huawei P8 Lite (alice) forum For other Android Nougat ROMs, Lineage OS 14.1 ROMs, other ROMs and all other device specific topics. This one works really great actually. Only thing that doesn’t work unfortunately is the Camera (only recording part). Tried third party apps but those fail also. It fails directly after one second. GPS, apps, play store etc. works perfect and very stable. So if you have a fix for the camera, that would be really great. And if I check for updates in settings, it doesn’t work either. At first I thought GPS was working fine but it isn’t.. Really looking for an update. not work tetchering wifi, and switch 3g/LTE. LTE mode is always on, so you can not make calls. Specify exactly which GAPPS to install because “Pico GAPPS” pops up “error 63” during installation. Hi there. I have no idea about all this techy stuff. I just tried out of curiousness. No i got into big trouble. My phone doesnt start up. IT only shows orange screen and thats all. I was able to unlock the bootloader and flashed twrp (twrp-3.1.0-2-alice.img). I did also installed the lineage-14.1-20170508-UNOFFICIAL-alice.zip but nothing happen. can somebody suggest or help me to get this fix, pls? Hi @danlozada can you explain a little bit more of the problem?? What problem do you exactly face?? Is it booting or not?? Yeah, he does a really good job. the only problem is the sound problem at the moment of calling. Sounds like a robot, unfortunately. Have you ever encountered this kind of problem before? I had always started from scratch, including full wiping. The contacts were not included in any variant. What could be the problem? You can anyway download the Google Contacts from playstore after installing GApps and loggin in using a gmail account.